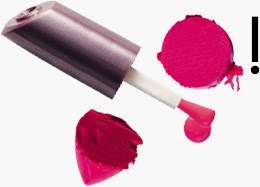 Do as actresses Alicia Vikander, Josephine Bornebusch and Malin Akerman; reinforce your summer look with vibrant pink lipstick that puts lips in focus. "During the summer, we look for colors that give extra energy. Amplify your summer fresh look with pink lips combined with a flawless complexion, "says Jonas Wramell, Oriflame's Global Beauty Artistic Director. Be sure your skin care routine. Make sure to exfoliate your face once a week to remove dead skin cells that make the skin feel dull and boring and moisturize your face with a nourishing moisturizer that contains SPF. "Get to a natural look, correcting any flaws with a concealer and apply some BB cream to even out skin tone. Highlight your perfect complexion with a blush in a sheer tint that provides the skin freshness, "advises Jonas. Pink on the lips looks just fine to all styles and it's the clothes that will set the tone if it will be a sweet or cool look. Soft and smooth lips are the best basis for strong colors. Begin to scrub your lips gently with a dry toothbrush or a damp towel to remove dry skin. Apply a lip balm to soften your lips, finish by pressing a napkin to her lips to remove all traces that can get the lipstick to glide by. Next, apply a pink lipstick. "For a sun-kissed complexion is fine with warm tones and a light skin tone suits it extra nice with cold tones which give a neat, crisp feel," advises Jonas. order to have a nice look, matching the pink lips with a neutral eye makeup with just a little black mascara on the lashes. "Maxa your evening look with a black eyeliner as you paint around the lash line and sweep an extra layer of black mascara," suggests Jonas. Color Matching lips and nails for extra glorious summer vibes!